Love the chance to get up close and personal with dolphins? Are you passionate about marine wildlife and conservation? And how about a trip to Australia on top to get hands on experience in a world class marine park. 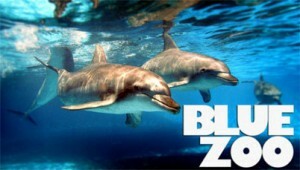 Blue Zoo the ULTIMATE MARINE WILDLIFE Adventure Documentary Series is set to commence principal photography with Air Pig Productions, David Atkins Enterprises, Australian television and RTÉ Young People’s Ireland in Australia in October of 2013. Over seven weeks filming in New South Wales Blue Zoo will see Australian and Irish teens work and train together at a marine wildlife park with dolphins, seals and turtles who have been rescued and rehabilitated or born into human care at the park. Blue Zoo is looking for 14 – 15 year olds who are motivated to make the world a better place, who love to be challenged and be part of a team and have a genuine interest in conservation. Rookies need to be available to travel to Australia for seven weeks of filming. Do you have what it takes to be one of our MARINE 8 Rookies? Exciting, dramatic and detailed observational documentary stories will be set within a format structure which will see the teens train dolphins and seals, take part in rescue operations, help overhaul the park and learn new skills in bootcamp training sessions –this is just part of what our Marine 8 Rookies will get from this experience. If this is your dream then Blue Zoo is dying to hear from you! To apply you must be 14-15. We want to hear all about why this is your dream in 100 words or less and you can upload a short video about yourself too – so log onto http://www.bluezootv.com.au/ and fill out your application form. Get writing now – you never know you might be on your way on a fully paid trip to Australia very soon!!! young people. All personnel involved in Blue Zoo have verified Working With Children Background checks. A Child Privacy Protection Policy & Procedures document is on the website and a more comprehensive booklet will be available to the parents of the successful Rookies. An Irish chaperone will travel with the Irish Rookies, chaperone throughout the filming period and travel back to Ireland with the group. The participants’ travel, accommodation and living expenses will be paid for by the production.